Line the bottom of a 2-litre glass bowl with the savoiardi biscuits, filling any gaps. Drizzle 4 tablespoons of the amaretto liqueur over the biscuits. Add the cherry filling and set aside. Put the amaretti biscuits in a clear food bag and roughly crush them with a rolling pin. SPRINKLE Reserving a few of the crushed amaretti to decorate the top of the trifle, sprinkle the rest over the cherry filling. Drizzle the remaining 4 tablespoons of liqueur over. Pour the warm custard over the top and leave to cool at room temperature. 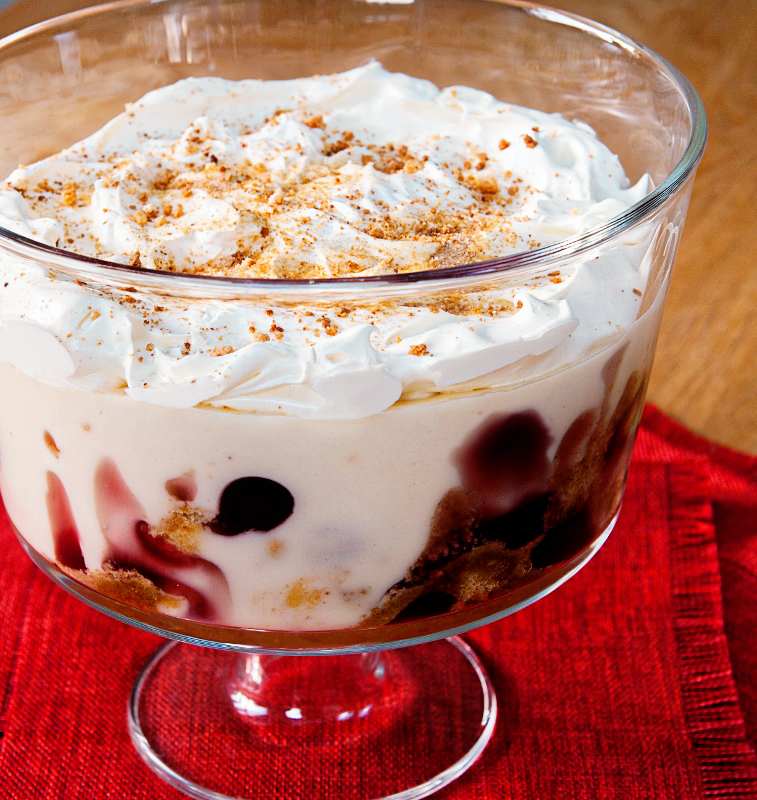 Chill the trifle in the fridge overnight. A few hours before serving, whip the cream to soft peaks and cover the top of the trifle. Sprinkle with the reserved crushed amaretti.